Stunning Curry rookie which boasts GEM MINT edges, surfaces and corners. 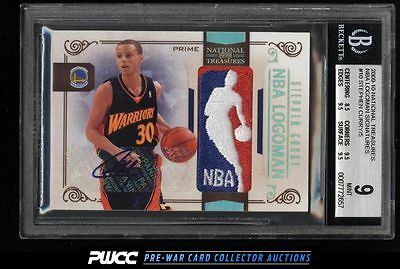 The autograph is pristine and the NBA logoman patch is flawless. As fine as they come and deserving of attention. One of nearly 20,000 cards, lots, and sets up for bid in our 7th Auction of 2016. Click on the link above to view the other PWCC auction lots.